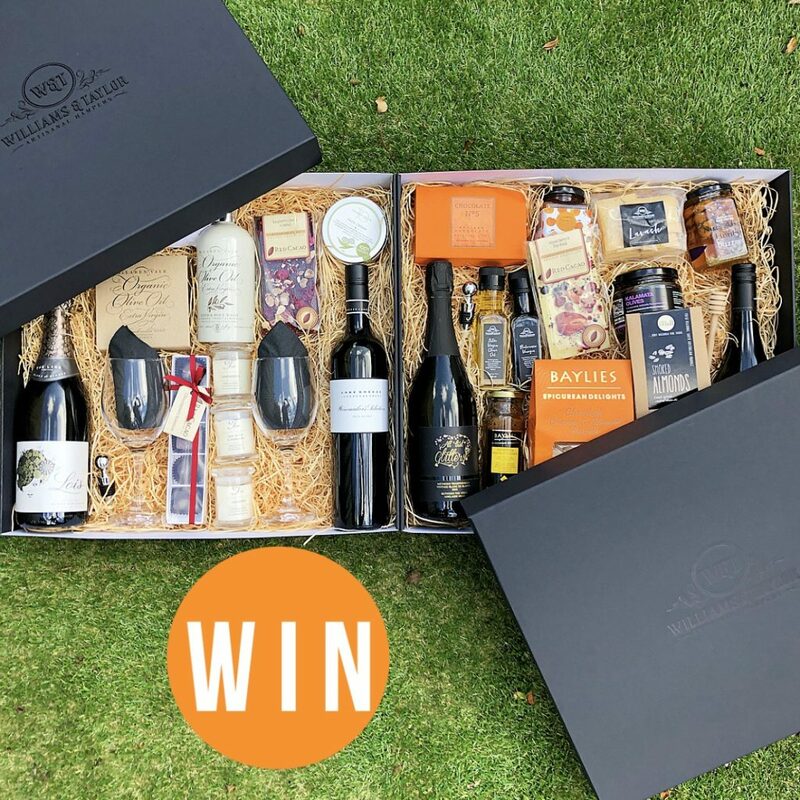 WIN one of two Williams and Taylor Artisanal Hampers full of gourmet SA goodies thanks to Puratap, valued at $400! Hamper #1 includes :: Between the Vines Blanc de blancs, Yangarra Estate 2015 Grenache, Chocolate No.5 truffles, Lucie’s Food Spiced apricot chutney, Williams and Taylor Olive oil and Balsamic vinegar, Williams and Taylor Lavash, Buzz Honey Nuts About Honey, Red Cacao Mixed Berry and Pop Rock chocolate bar, Baylies Spiced Pear and vine conserve + Chocolate and Almond biscotti,Two Hills and a Creek Kalamata olives. Hamper #2 includes :: The Lane Lois Blanc de Blancs, Wine Makers Selection Shiraz, 2 wine glasses, Williams and Taylor Hand towel, Red Cacao Chocolate truffles and Raspberry, cherry and almond chocolate block, 3 scented Trielle candles, Talinga Grove Face cream and Hand cream, Main Beach Organic olive oil soap and Body wash.
To enter on our Instagram, TAG a friend who deserves this and FOLLOW @puratapofficial to be in the running to win. Photo (above) will be posted on Adelady Facebook and Instagram, Thursday May 31, 2018 and the winner announced on Adelady Facebook and Adelady Instagram, Monday June 4, 2018. Winner must live in South Australia and be over 18 years old. Hampers are to be collected from the Adelady office (78 Edmund Ave, Unley). This would be a dream come true. Hubby and I are off soft drink and only drink water and tea. The tap water tastes awful so we buy bottled water or use filtered water. Yes please. Hubby and I are off soft drink and are only drinking water and tea. We buy bottled water or use filtered water as the tap water has a funny taste to it. This would be a dream come true. Awesome! It is a great giveaway. Great site.